One of the few things you can count on in this world—besides death and (Republican resistance to) taxes—is that Mickey Hart will keep moving forward, following the Great Rhythm Muse to come up with fascinating and compelling new directions for his music. He always finds interesting people to accompany him on his voyages of discovery—he hasn’t gotten nearly enough credit through the years for being both a collaborator par excellence and a terrific band leader. From Planet Drum to Mystery Box to various versions of the Mickey Hart Band and Rhythm Devils, Global Drum Project and a slew of fine albums, Mickey has taken us all on a journey from the heartbeat of an unborn child to the outer edges of the cosmos, encompassing the story of mankind and the history of the universe. And you can dance to it! 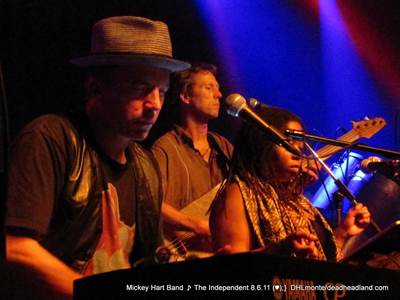 The latest incarnation of the Mickey Hart Band debuted August 5th at the beautiful Napa Theater in the Northern California Wine Country. I caught the following night’s show at a 500-capacity club called The Independent, located on a gritty part of Divisidero Street in San Francisco, a little north of Haight-Ashbury. 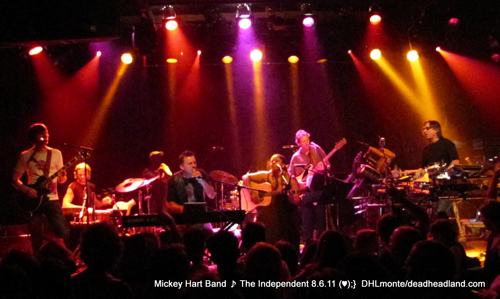 It was a treat to see Mickey’s nine-piece group in such intimate surroundings. The refurbished club (alas, for 21-and-up only, as it’s a bar with no food served) is certainly among the nicest in the city, boasting an excellent sound system, good sightlines to the elevated stage and friendly staff and bartenders. It has hosted many top bands (as well as countless up-and-comers) through the years, but I would be very surprised if any group that has played there filled the normally spacious stage with so much equipment! Everywhere you looked there were wires and pedals and microphones and instruments. Vir McCoy, Mickey. (Not pictured: Inkx Herman and Ben Yonas. Mickey had his enormous percussion setup on the right side of the stage (from the audience’s perspective), with his RAMU electronic pads and triggers and whatnot, and all manner of mounted hand drums (which he mostly played with sticks and various brushes) and pitched rack-mount percussion. To his right were the two main singers in the band. I first heard Crystal Hall—a versatile and charming singer-about-town and one-time Rent cast member—when she played with Mickey a couple of months ago at Wavy Gravy’s 75th birthday party concert. 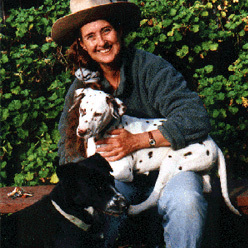 In this group, she plays acoustic guitar, sings lead on a few songs, contributes haunting wordless vocals on others, and dabbles in percussion. The principal singer, Tim Hockenberry, was new to me. My crack research team tells me (OK, I got it off the Internet) that Hockenberry is best known as a singer for the latter-day Trans-Siberian Orchestra, but has also put out successful albums under his own name. Sitting at an electronic keyboard (mainly playing piano-ish tones), he sings in a rough but expressive voice that ranges from Peter Gabriel soulfulness to Joe Cocker gravel. He also plays a mean trombone on a couple of songs, sometimes with a mute and electronically altered; very cool! The youthful-looking but well-traveled guitarist Gawain Matthews was on the far left side of the stage with his Les Paul and a formidable arsenal of pedals. Matthews has been working with Hockenberry on and off for a while and has also produced and/or played with many other musicians and groups (he was part of the Wavy b-day extravaganza, too), and he runs his own self-named recording studio. He’s a remarkably versatile stylist—definitely not from the “Garcia school,” as past Mickey associates ranging from Barney Doyle to Steve Kimock are, but adept at all sorts of shadings, from ringing chordal passages that reminded me of U2’s Edge Evans, to moody slide passages that recalled Duane Allman. He did have his Garcia-esque melodic moments, too, but it’s not the thrust of his work in this band, and that’s fine—it’s nice to hear some different guitar voicings from a confident soloist. He’s a good one! Then we have the percussion backline. Greg Ellis, who’s had a long career working with a wide variety of “new age” and other groups—including one of Mickey’s best bands, Bembe Orisha—had a setup of diverse hand percussion instruments that he employed liberally through the evening. He was especially effective on what looked like a mounted clay pot (which I’ve seen both Giovanni Hidalgo and Zakir Hussain play in Planet Drum/Global Drum Project). Talking drum and djembe master Sikiru Adepoju—who seems to show up in every one of Mickey’s bands—was tucked behind Ellis, smiling slightly under a baseball cap and unleashing torrents of percussion with a stick and one bare hand. He does things with small drums that are simply mind-boggling. Ian “Inkx” Herman played what passes for straight traps in this band—he was steady-as-she-goes all night with whatever pulse each song required, but also had some nice flourishes that beautifully accented the main rhythms. Vir McCoy, another member of the band that played Wavy’s birthday (and, like Inkx, a member of Hamsa Lila) was solid on various basses and bass-like instruments, and also provided some eerie vocals on one song in the second set. Finally, barely visible behind Mickey’s enormous semicircle of percussion, was keyboardist Ben Yonas, who has played with Crystal Hall and others. I recall a very nice passage where his organ and Matthews’ guitar sounded like they were riffing together on In A Silent Way-era Miles. For some reason, he’s not listed with the other band members on the group’s profile page on mickeyhart.net, but he was a big contributor to the group’s sound. It might surprise some of you to learn that of the former GD members, Mickey has been the most prolific collaborator with Robert Hunter since Garcia’s death. They’ve written tunes for Mystery Box, the Other Ones, the Rhythm Devils (a whole passle of ’em, which have been performed by a few different iterations of the band), and now this new Mickey Hart Band. For my money, this batch is the best they’ve produced to date and it includes a handful of songs I think are—dare I say it—“commercial” enough that they could even get played on the radio. 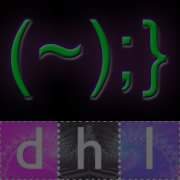 An album is planned for 2012 release, I’m happy to report. The bulk of the two sets at The Independent consisted of new material, and within that there was tremendous variety. Whereas several of the Rhythm Devils’ originals in recent years have had an African lilt, most of these songs had a more straight-ahead pop (or rock) feeling. The combination of Hockenberry’s vocals and the strong melodic hooks reminded me of Peter Gabriel more than once; that’s good! I don’t know what was happening in “Slo Jo Rain,” a second set highlight, but it emerged from a long, spacey instrumental flight dubbed “Heartbeat” on the set list, and had a dynamite chorus. “Djinn Djinn” (not to be confused with Bob Weir’s “Two Djinn”) had a Middle Eastern flair and a lyric about the desert crying—that one was also played by the Rhythm Devils a few months ago. A couple of other new ones were “Who Stole the Show” and “Starlight Starbright,” and there was another I think I’d heard at Wavy’s birthday—“I Can’t Tell You More,” which had a heavily reverb’d Mickey speaking about universal mysteries over an appropriately “cosmic” musical bed. Mickey and his electronic kalimba. During the first set, Hockenberry sang lead on solid, highly rhythmic takes of “Scarlet Begonias” and “Fire on the Mountain” (which included all the “extra” verses Mickey has traditionally employed in his versions), and Crystal was effective on “Brokedown Palace” in the second. The one true clunker in my view was the first-set ending “Casey Jones,” which is not a song this band needs to play to get the crowd moving. And though I know Mickey loves playing and singing “Iko-Iko,” I could live without that, as well. The originals this group does are much cooler and go to more interesting spaces. There are definitely other Dead-associated tunes this particular group could do more with. For just the group’s second live show, though, it was a remarkable performance. The percussionists were locked in on every groove, the singers showed great range and inventiveness, and even though it’s a rhythm-heavy unit, melodies were always close at hand, and many of them soared. And Mickey was in heaven! Whether dancing merrily as he played an electronic kalimba line, eliciting ominous and spooky tones from the Beam, triggering odd samples or directing solos while adding little dashes of percussion spice of his own, he seemed to be in control at all times, happy to be presiding over yet another top-notch band of adventurous cats. 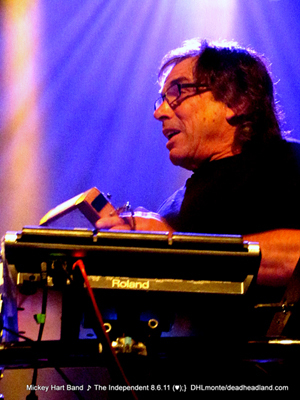 For info on the Mickey Hart Band’s upcoming shows click here. With any luck, there will be many more to come! Great New Music from Mickey! I'd love to see this band do a East Coast tour, in the NYC Metropolitan area, Philadelphia area, and especially somewhere in Eastern Pennsylvania - i.e. - Penn's Peak, Jim Thorpe, PA.
come up to Seattle, Mickey. New York's a bit of a schlep. I do wonder: why did Seattle fall off the GD map? Even "remains of the dead" shun this city. For current or former Bay Area residents, The Independent is at 628 Divisadero. In previous incarnations, the club was known as The VIS (80s), The Kennel Club (80s/90s) and the Justice League (90s/00s), and prior to my time it was the second location for the Both/And (in the 70s--the earlier, more famous 60s location was at 350 Divisadero). According to the website, at least, it was also the site of a 60s SF jazz club called The Half Note. More interesting from a Grateful Dead perspective is that The Independent is right next to The Harding Theater at 616 Divisadero. 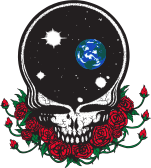 The Dead played the Harding on November 6-7, 1971, and the latter show was broadcast on KSFX and widely circulated. Garcia/Saunders and NRPS played some mysterious shows there in September of 1971 as well. The Harding is still there, waiting for a tenant... Across the street is The Bean Bag, a lovely cafe and restaurant (at 601 Divis), and a good place to relax and contemplate history. Thanks for that, Corry. I interviewed Etta James backstage at the VIS club back in the early '80s. The place was really scary back then, and unrecognizable as its current space. Loved Etta, though. For a a few weeks after that interview there was talk in her camp of me writing her autobiography, which would have been a thrill, to say the least, but it never happened obviously. I saw Firehose in the VIS, about 1986, when it was apparently just starting to be used for music again, after being a sort of local workingman's bar for many years. We got there late, after seeing Humble Pie at The Stone (long story), and Firehose was playing in the back of the bar. There wasn't a stage or anything. There were about 50 punky Firehose fans near the band. At the bar were a bunch of middle aged working guys, who had obviously been there since about 5:01 pm. Each new iteration of the venue was better, and although I haven't been to The Independent, it seems like it has continued the trend.